Got the materials from Lowes. 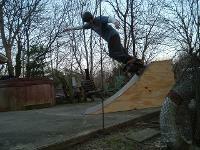 Built 2 ramps, each 3 feet tall 4 feet wide. You can put'em next to each other and make it 8 feet wide or put'em face to face and make a mini halfpipe. 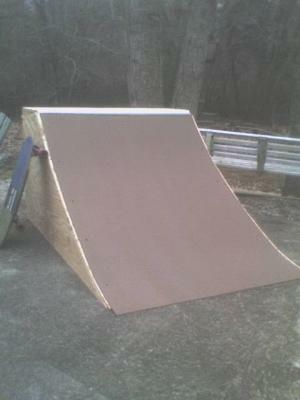 Took about 2 hours to build per ramp with one guy. It was built Feb 2008.